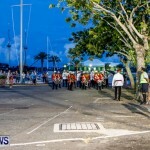 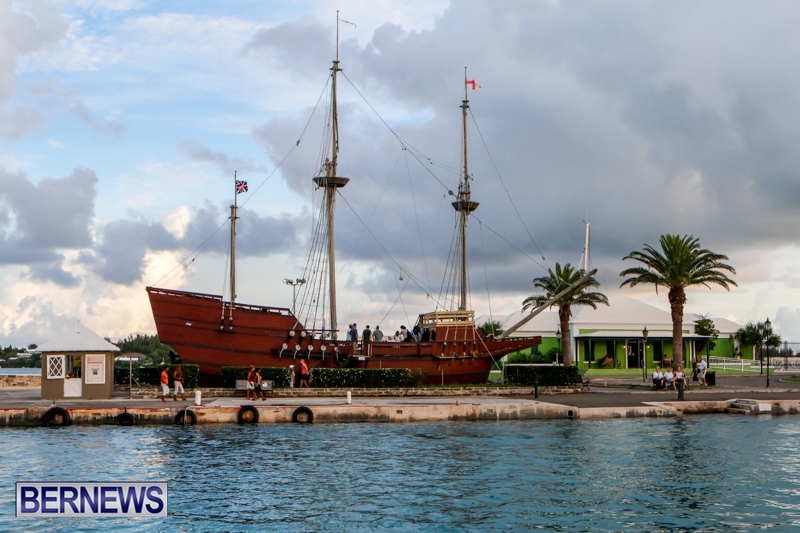 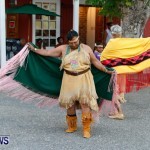 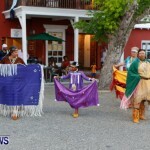 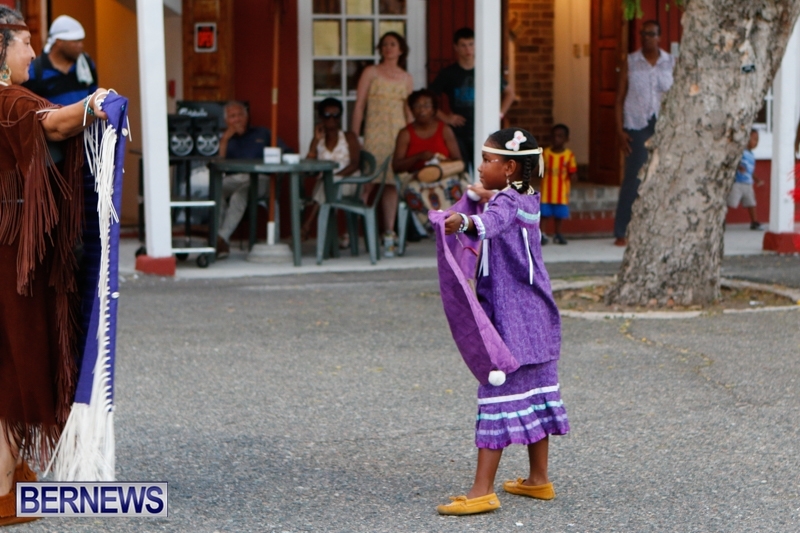 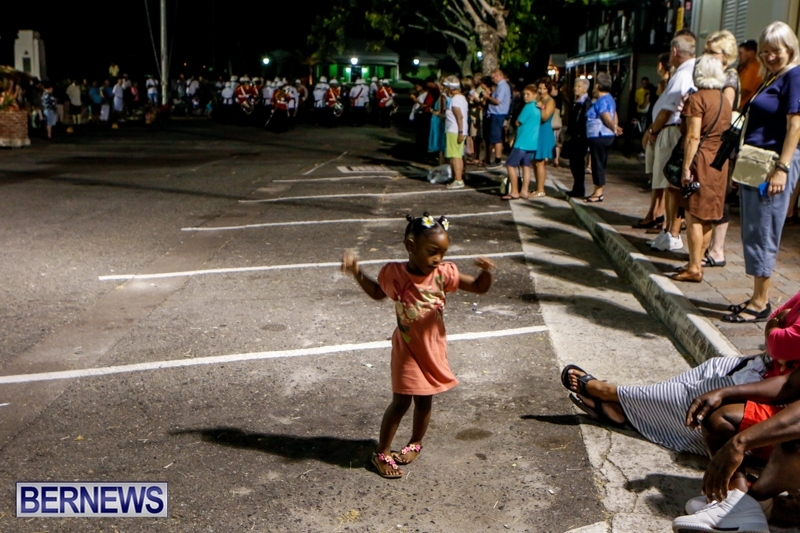 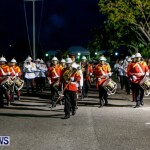 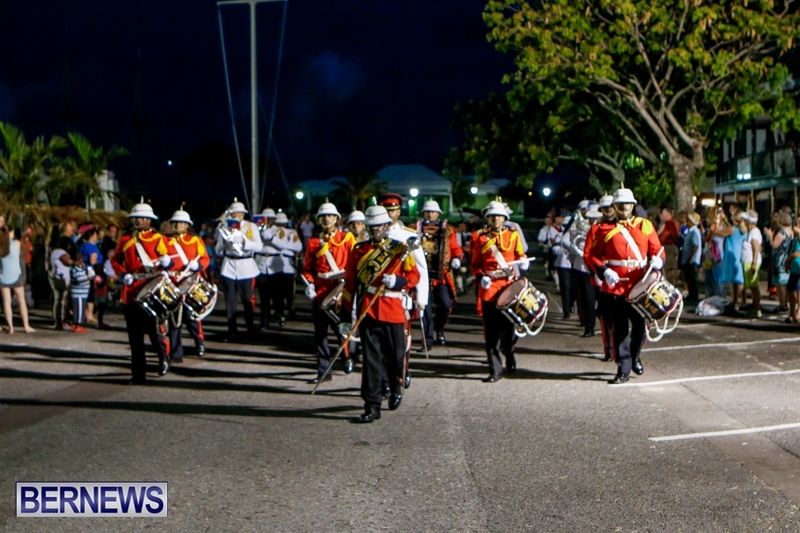 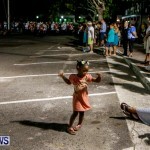 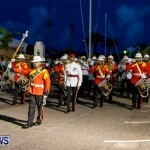 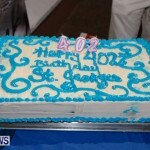 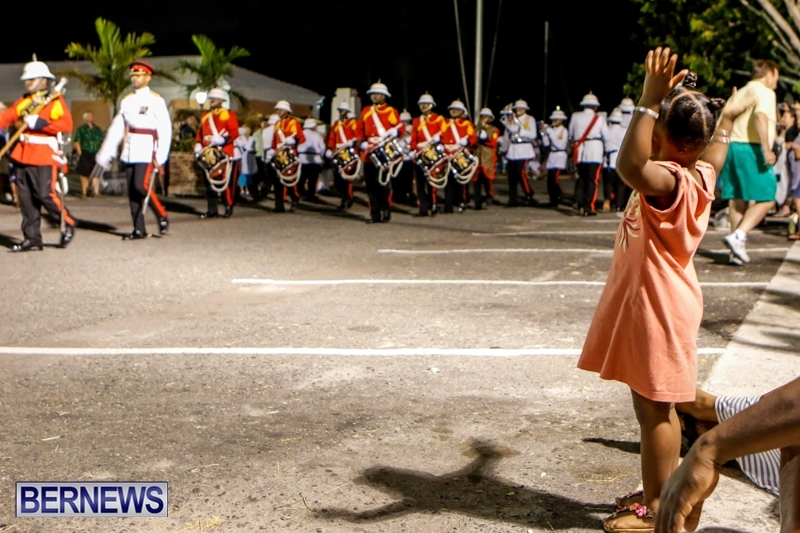 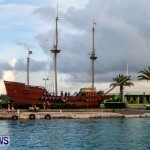 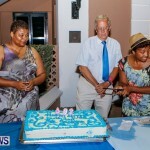 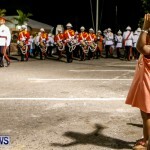 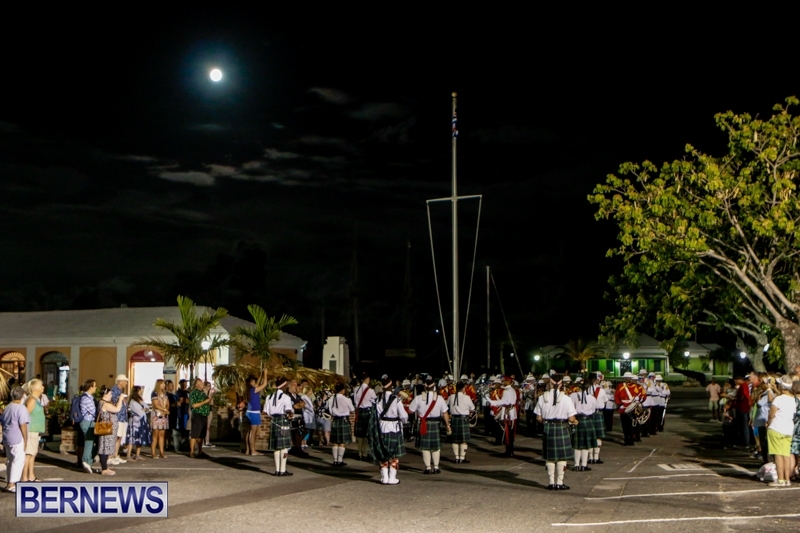 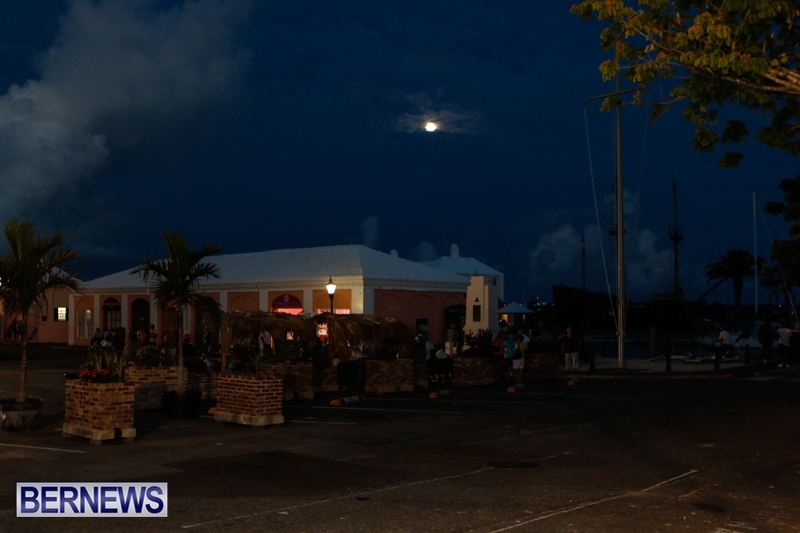 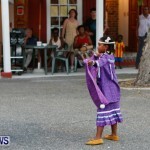 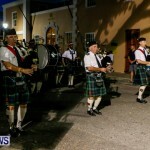 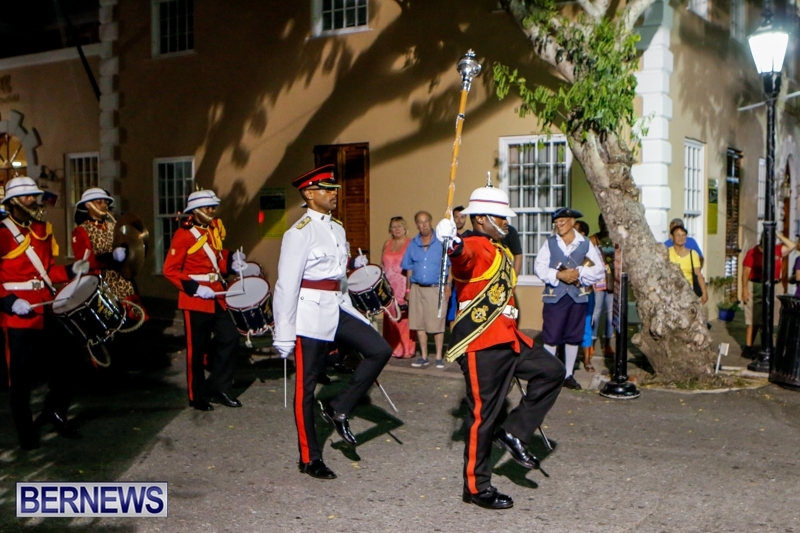 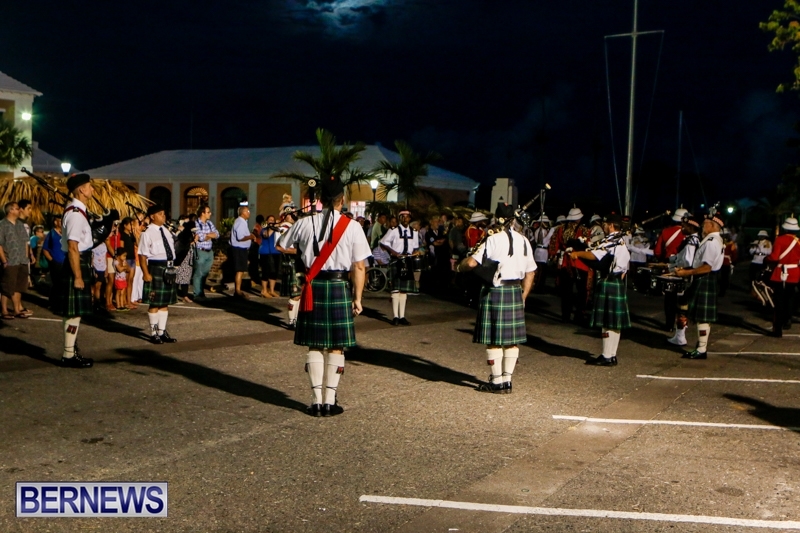 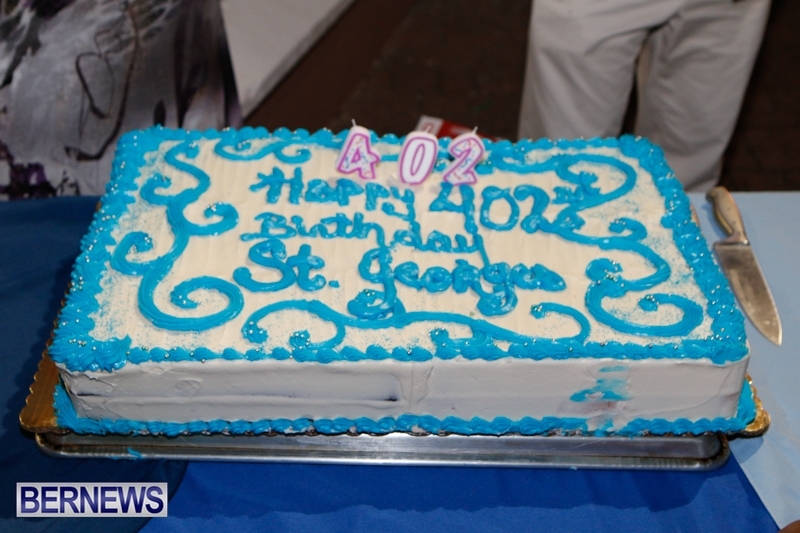 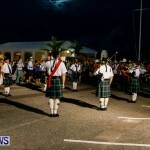 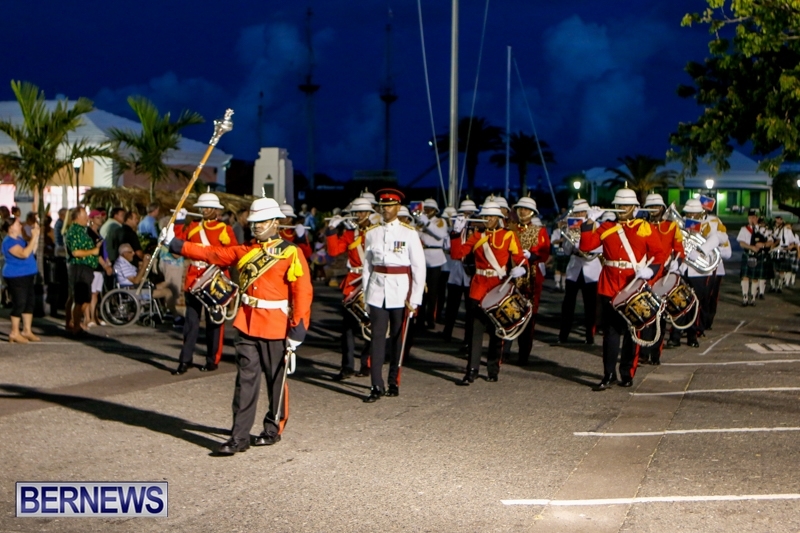 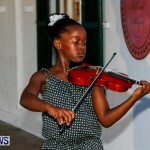 The town of St. George’s celebrated its 402nd birthday on July 11, 2014, with an evening of tours, music, reenactments, and film, along with an evening tattoo by the Bermuda Regiment Band. 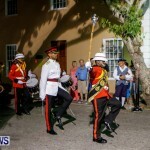 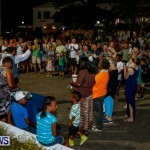 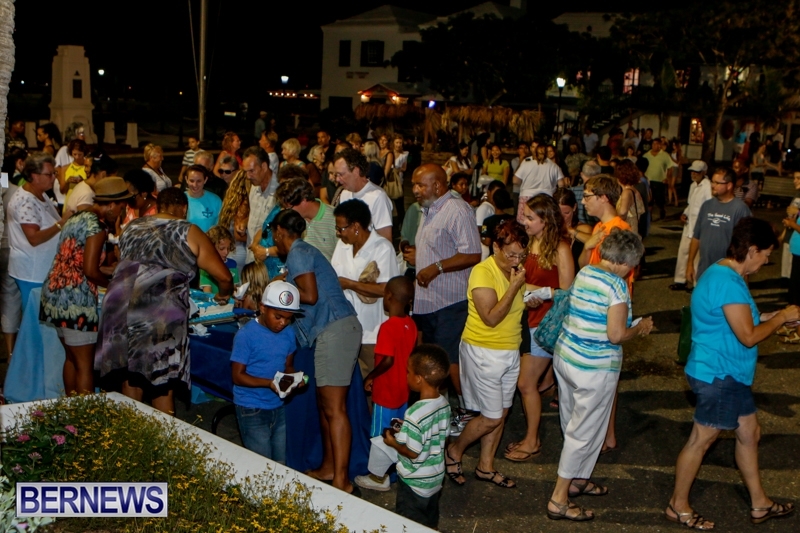 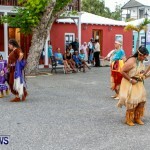 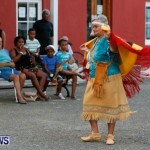 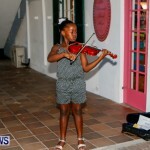 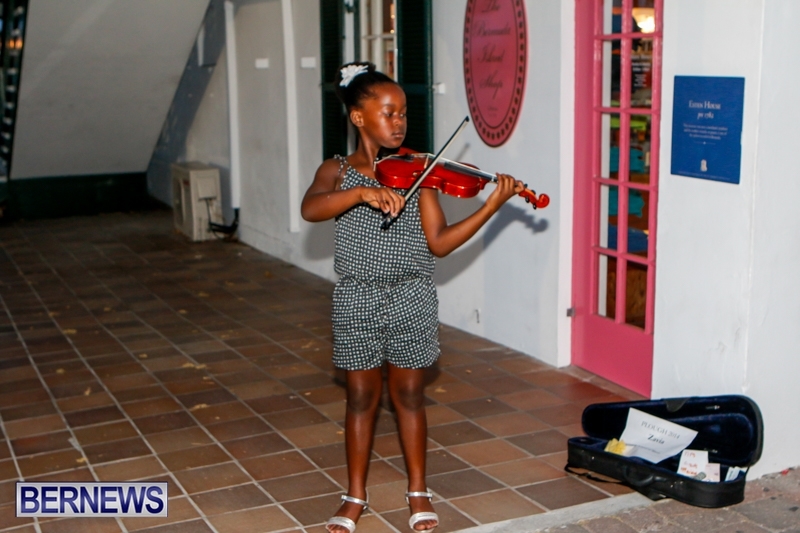 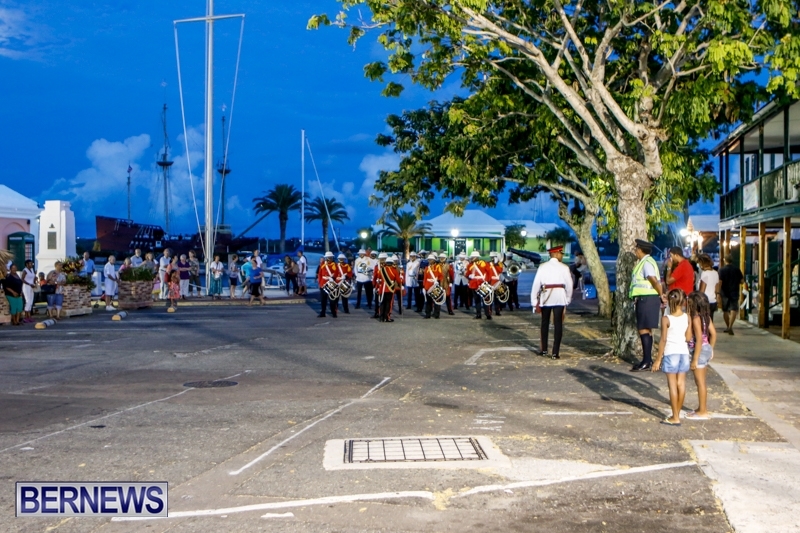 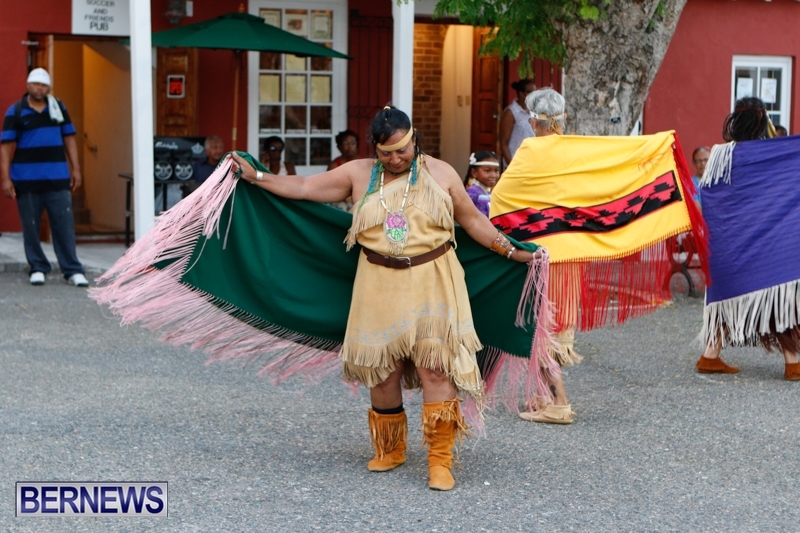 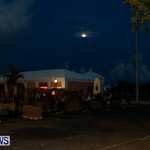 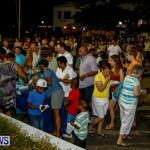 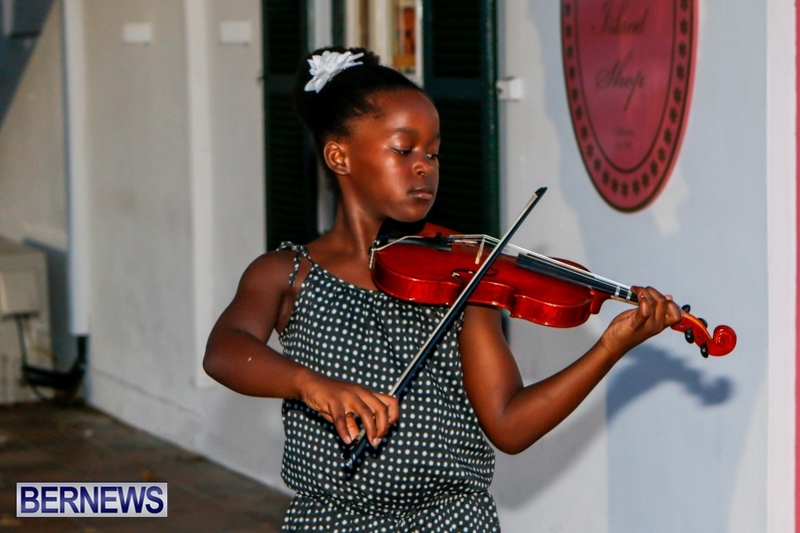 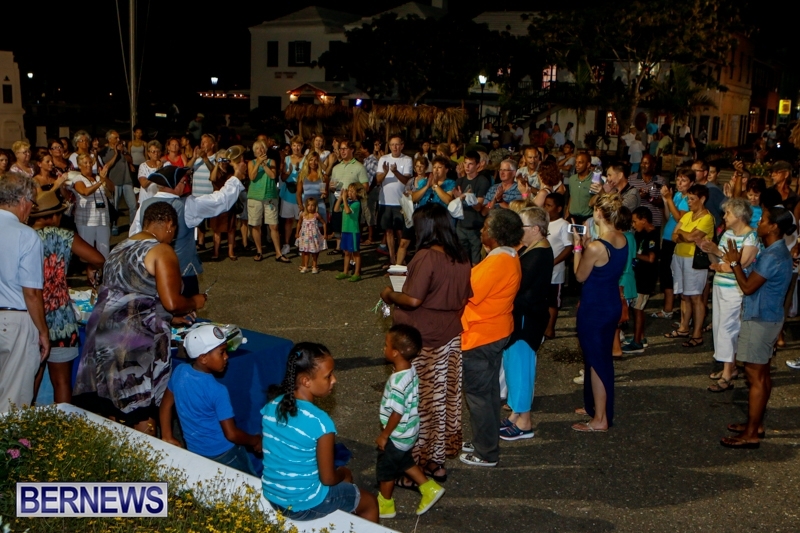 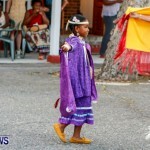 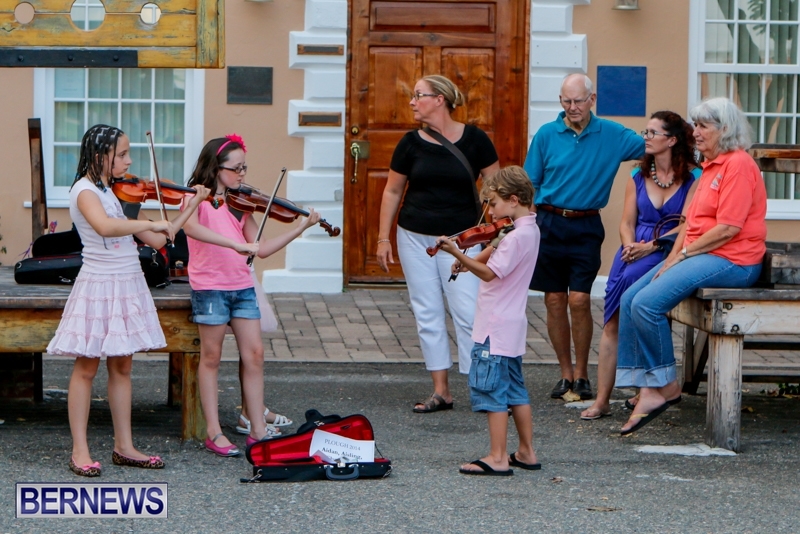 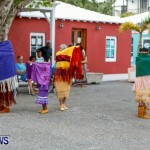 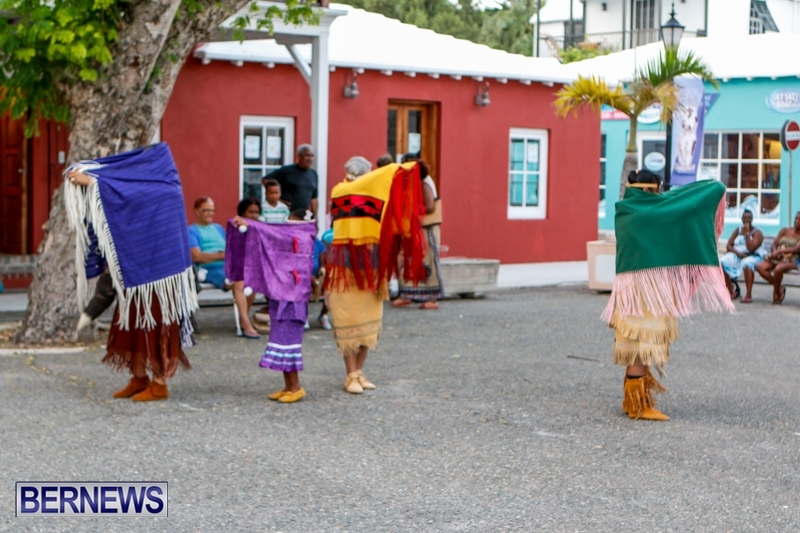 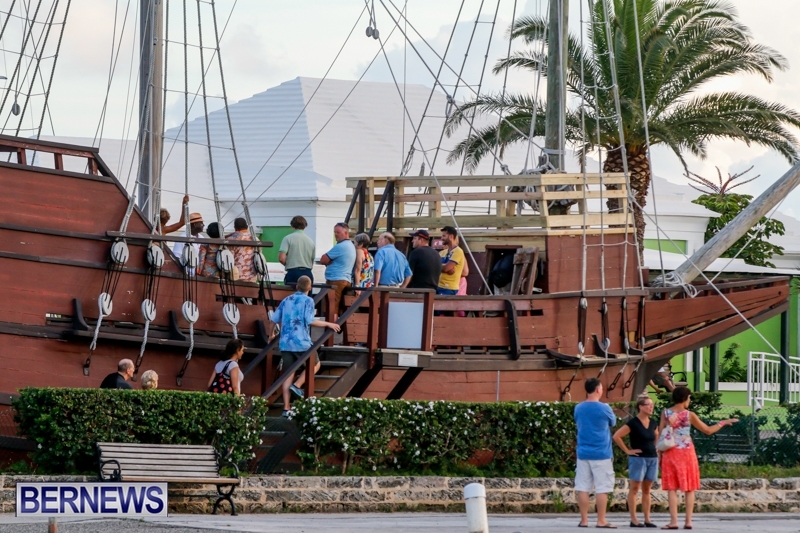 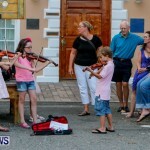 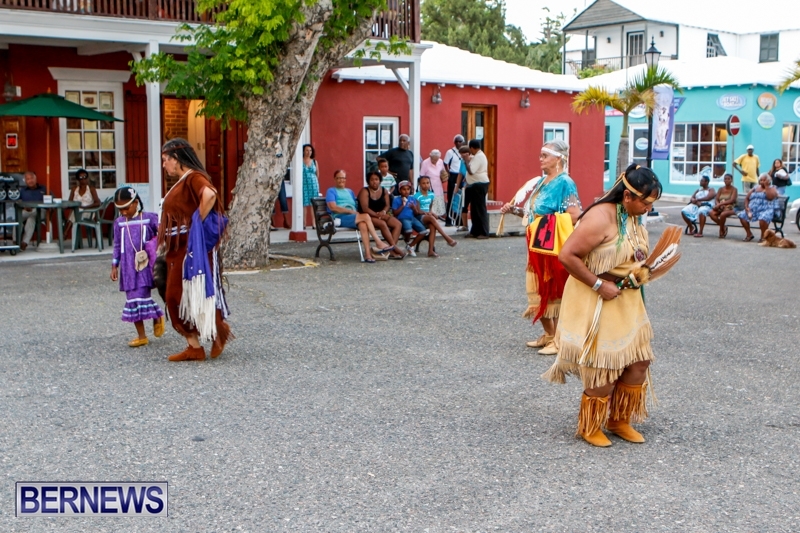 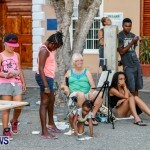 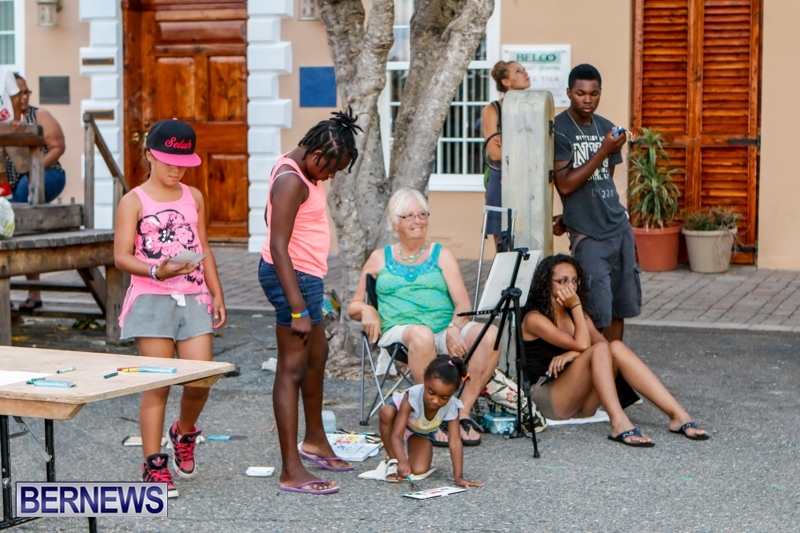 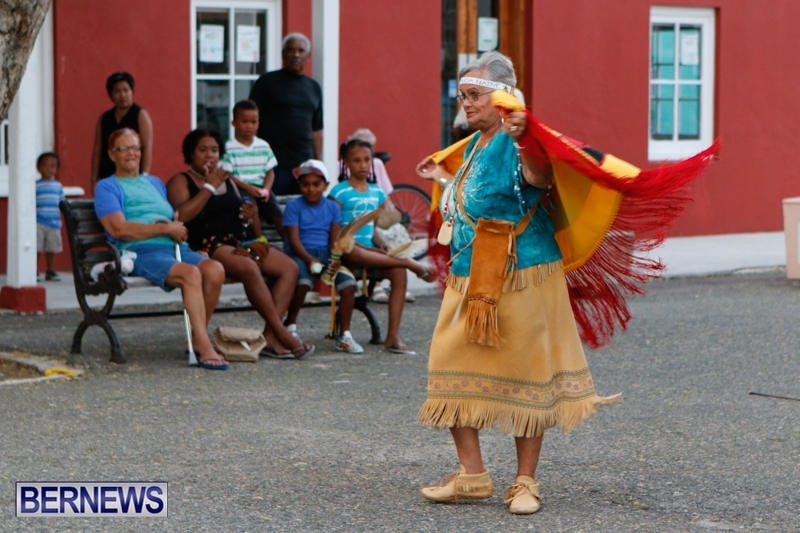 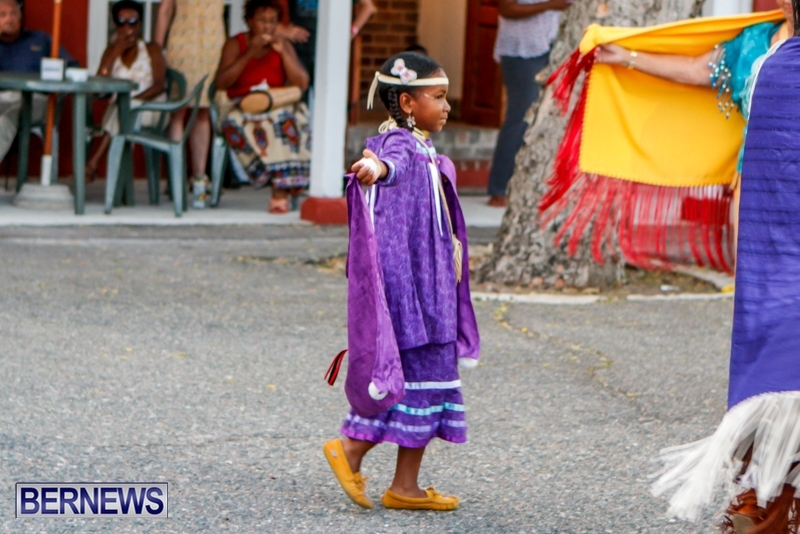 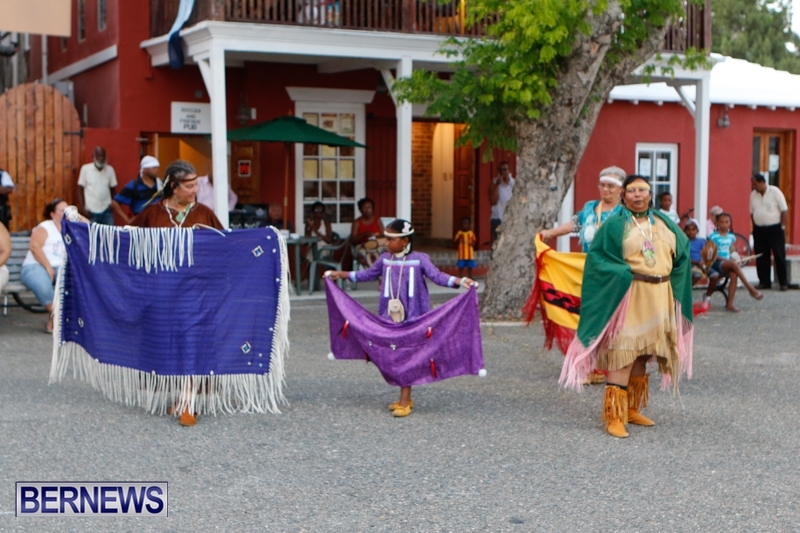 Titled “Plough: A Summer’s Evening in the Olde Towne,” the event was supported by the Bermuda Tourism Authority, the Corporation of St. George’s, and St. George’s Business and Heritage Partners. 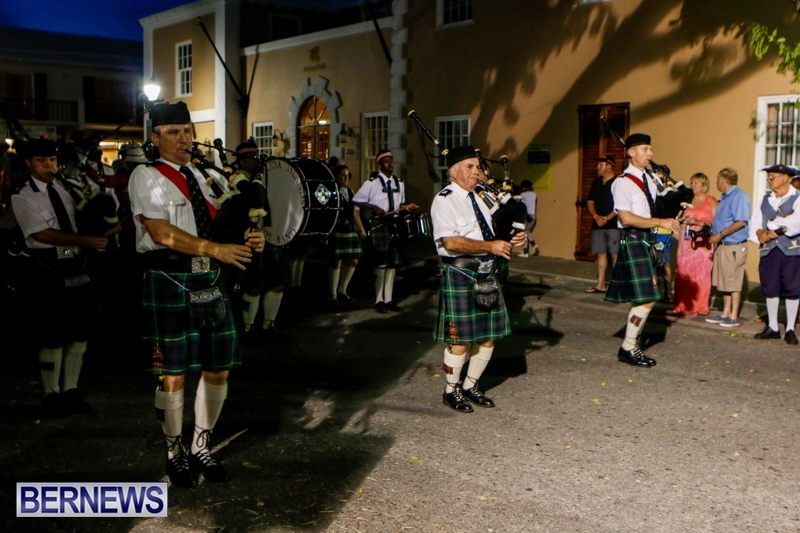 That closing performance saw the Bermuda Regiment and Island Piper Band playing ‘Happy Birthday,’ with the gathered crowd joining in to sing along with the familiar tune. 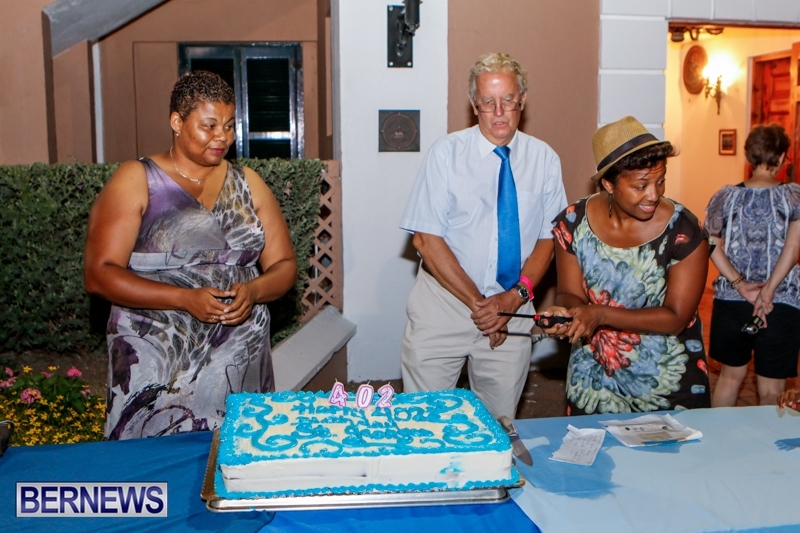 The song was followed by the cutting of a large cake that was then shared with everyone in attendance.